Hydroponic(Inline)Duct Fan-Max Fan-CHOSEN VENT TECH LTD.
Max Fans are in line mixed-flow fans capable of jaw-dropping performance at high static pressure through innovative design. Designed for the exhaust or supply of air to noise sensitive areas such as conference/seminar rooms and libraries, as well as homes, apartments and hotels. Also ideal for warm and cool air transfer systems. 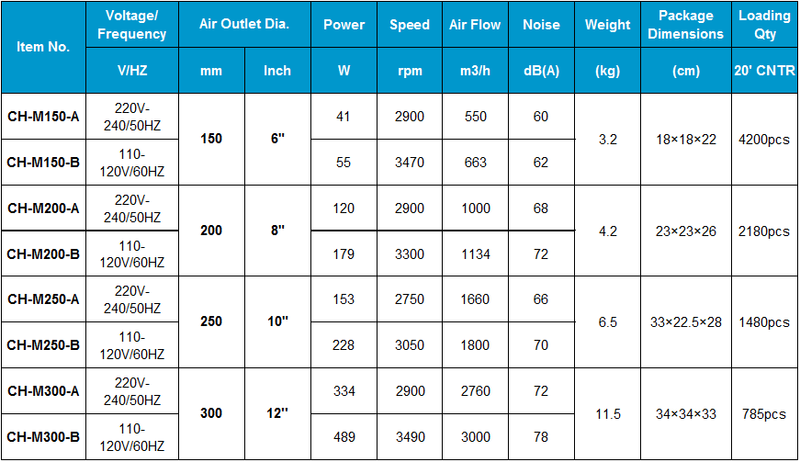 · A very quiet and compact high performance fan system. · All models are designed for direct connection to standard diameter circular ducting. · Fan body can be easily removed for maintenance without disturbing the duct system. · Integrated mounting foot on fan makes installation easier. · Plug and lead included for easy installation. · Designed for the exhaust or supply of air to noise sensitive areas such as conference/seminar rooms and libraries, as well as homes, apartments and hotels. · Also ideal for warm and cool air transfer systems.